Saturday took us to the “Gig in the Garden” at Minnowburn. 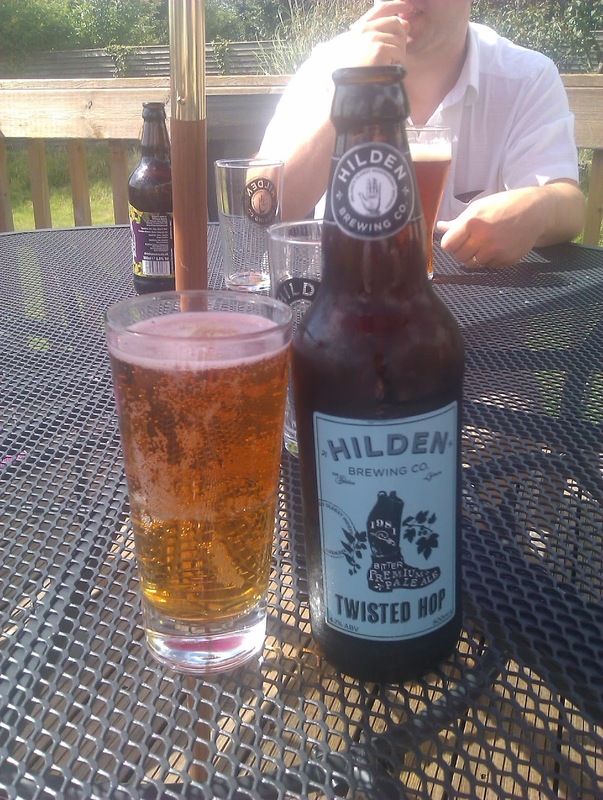 Another great day out, and best of all the Hilden teepee was running the beer tent so I got another tasty pint of Twisted Hop on draft. Great to have a child friendly event, that has good food, drink and music in Belfast – if it's on again next year we'll be back! All this activity meant only one beer got ticked off the list but I was a good one. De Koninck Amber. Style: Amber, ABV: 5%. Description: Poured amber, almost brown into my Leffe challis. Nice amber head, but his went very quickly. Biscuity malt sweet smells and that refreshing aroma from Belgian yeast. Malt tastes, a little sweetness, and a slightly sour finish. Conclusion: Really refreshing beer, that really nice taste and small that goes with Belgian beer – presumably for the yeast and malt. Well worth a try and I would have again. Twisted Hop. Style: IPA, ABV: 4.7%. Description: A nice floral, citrus hop hit. Nice fizz. Conclusion: This Hilden beer recently won best beer at the Dublin Craft Beer Cup. I can see why. Really nice on a summer's day. Refreshing.